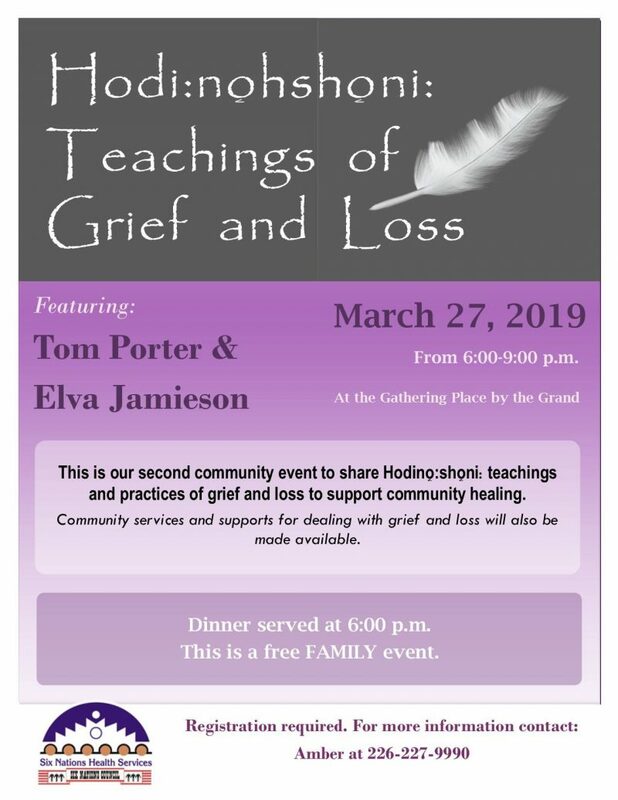 Six Nations Health Services is hosting their second community event series, Hodi:nohshoni: Teachings of Grief and Loss, at the Gathering Place on March 27 from 6PM – 9PM. This event shares Hodi:nohshoni: Teachings and practices of grief and loss to support community healing. Featuring guest speakers Tom Porter and Elva Jamieson. Community services and supports for dealing with grief and loss will also be made available. This is a FREE family event, and all are welcome. Dinner will be served promptly at 6PM. Registration is required. For more information, contact Amber Skye at 226-227-9990.